I bought this old rocking chair at a garage sale for $1 in the summer of 2004, the summer I weighed 300 pounds (give or take). Its seat was broad, like mine, and the arms had been removed so it fit me perfectly. The old gal’s been on my porch through snow and rain, heat and cold, grandbabies, parties, and, of course, weight loss. When over the winter its seat developed a split down the middle seam, someone suggested I throw it away. It was only a dollar, she said. But throwing away that old chair would be like throwing away my old black pants. My pants, I wrote back in March (see “Ode To My Size 28 Black Stretch Pants”), are my friend. They help me through those days when I wonder: Why am I doing this? Why do I journal my food? Why do I eat the way I do? Why do I (usually) say no to chocolate cake, mac n’ cheese, and half in half in my coffee? I love those things! The old rocker is that kind of friend, too. It’s my favorite place to sit when I’m having a “fat” day because I remember that garage sale and how I sat down on it before I bought it. My back and legs were sore from walking around. The air was warm and I was breathing heavy. My face was flushed. Sweat trickled down my back. I sat on that chair to rest and it welcomed me – all of me – and gave me comfort. When I sit on that chair now, I feel the magnitude of 170 pounds gone. I feel small and bony and strong. I feel healthy and grateful. I feel welcomed and comforted. In a way, the chair is my “Giving Tree.” (“The Giving Tree” is a children’s book by Shel Silverstein.) Only unlike the boy in the book, I (or rather my husband) fixed her seat, and in the coming weeks, she’ll get a fresh coat of paint. I need her and want her to have a long life on my porch. Congratulations to Lynn’s Weigh Facebook “friend” Wendy, who won the Leslie Sansone “Walk & Firm” DVD giveaway! In a few days, my daughter Cassie will be back with a review and giveaway of a new yoga DVD. Stay tuned! This entry was posted in Uncategorized on May 27, 2010 by Lynn Haraldson. nice chair 🙂 glad you are keeping it to weather more seasons on your porch. How true is this! When you lose weight in small increments, you don't always realize how much you actually lost. Reminders like this are a great way to remember why we do all these things to keep the weight off. BTW – I emailed you regarding your surgery, but I think my emails end up in spam lately for some reason. Love the story of your chair! I have a couple of pieces of furniture like that, too. Sent you an email on your yahoo address with address for the DVD 🙂 Your FB page doesn't have a message option…or at least my old eyes can't find it, LOL. Oh Lynn, I like that. I like furniture that has history. 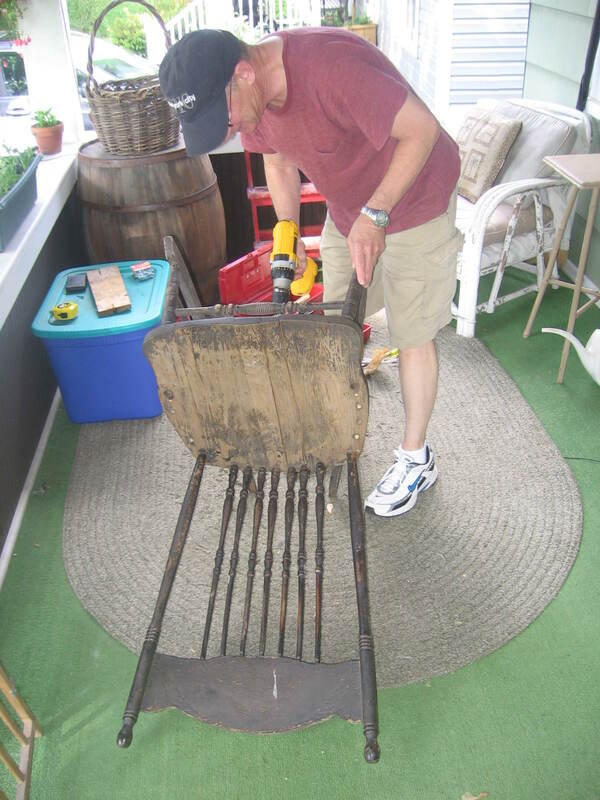 I have an old wicker rocker on my porch that I refuse to get rid of. One of its rockers was chewed by one of my dogs when it was a puppy. I adore this post and ADORE the giving tree as well (no surprise there). Loved reading your blog today and some of the comments really hit home. Speaking of journalling…time for me to get to the WW website and get er done too. Wow! Congratulations! I have lost 30 lb and have another 20 to go. The real trick will be to continue to exercise and eat right to keep it off. Any tips for how you are doing that? I have just found yur site. I am in the middle of my weight loss journey and like you I want this to be the last time. I have a question, do you have issues with loose skin? Hi! I found your blog through the feature article on you on thatsfit.com. Congrats on your great weight loss! I love that you are keeping your chair around and just giving it a little facelift. I love the Giving Tree analogy!! Aw. What a dear post. 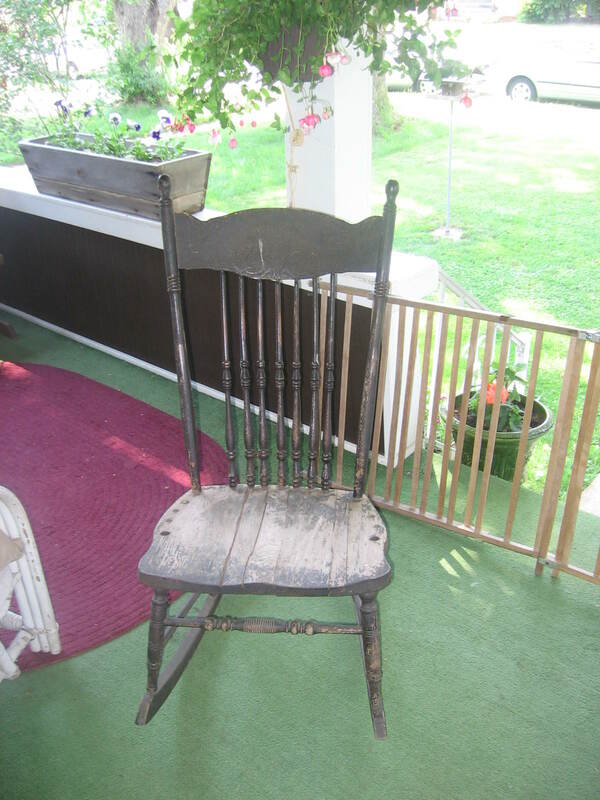 I have a broken rocker in my bedroom that I want to fix for very similar reasons! Thank you, Lynn. Your words were so helpful to me today….having a rough one…..but I am reminded that time puts things in perspective. Your writing is so appreciated. Thank you. This was awesome… thanks for your words! Great story about the chair, I really enjoyed it. Sometimes it's really not money that defines what is truly valuable to us.